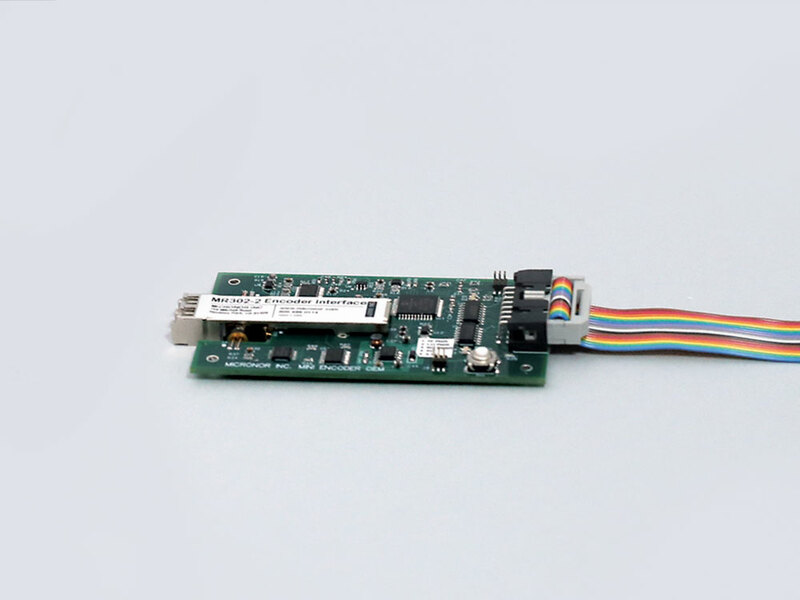 The MR302-2 PCB Controller enables Original Equipment Manufacturers (OEMs) to compactly and cost effectively integrate MR30X series fiber optic position sensors within their own equipment designs. In operation, the MR302-2 Controller sends two optical wavelength signals to a remote MR30X series Sensor. The encoder then modulates each optical beam based on the direction with a leading or lagging phase shift. The return optical signals are split into two separate beams and converted back into electrical signals by two photodiodes whose outputs are amplified by two gain-controlled amplifiers. A microprocessor supervises the amplitude of the optical signals and constantly adjusts the signal to provide a stable quadrature output. The system has built-in diagnostics and can signal any anomaly occurring during sensor operation.